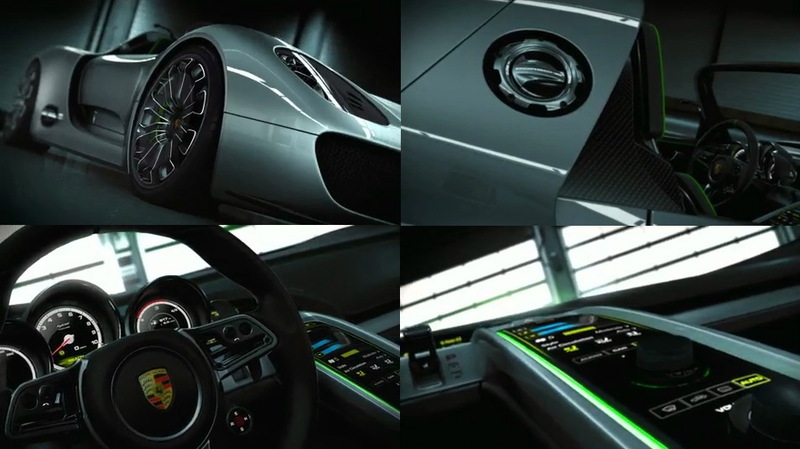 Porsche 918 Spyder Concept The next spark! 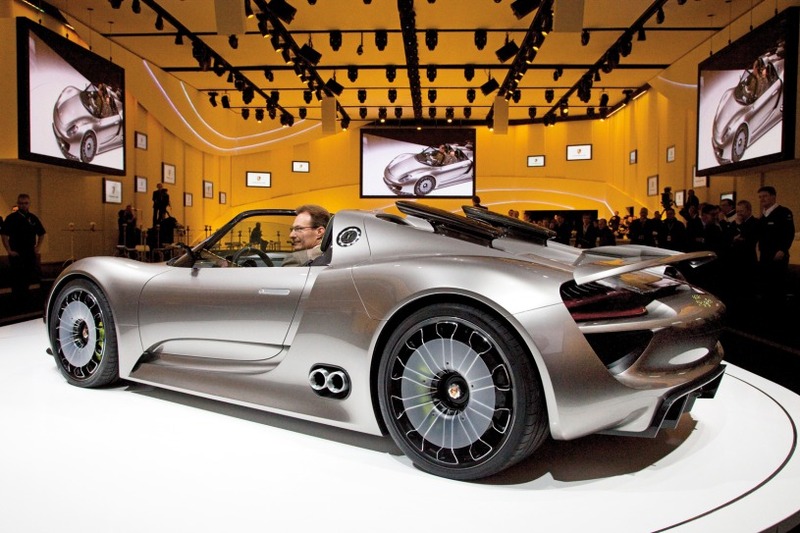 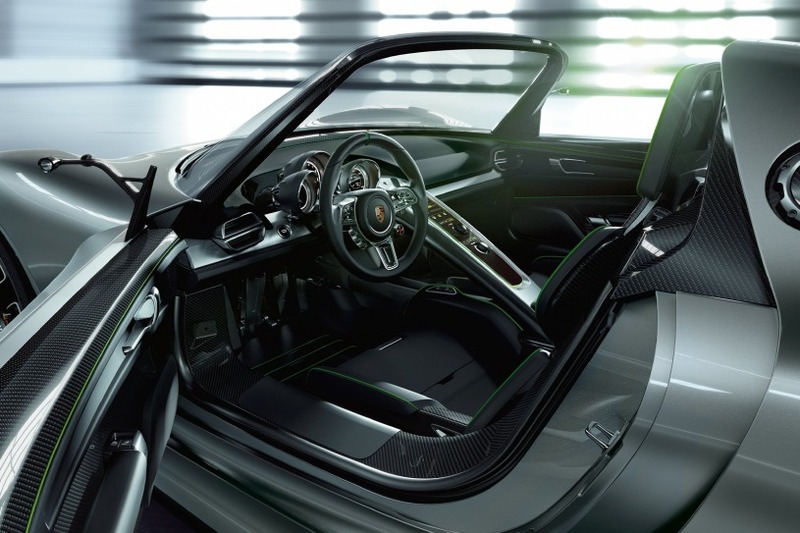 GENEVA — A surprise star at the 2010 Geneva Auto Show is the Porsche 918 Spyder, an open-top two-passenger plug-in hybrid concept that combines a mid-mounted V8 with three electric motors to achieve a stunning combination of high performance, low fuel consumption and low emissions. 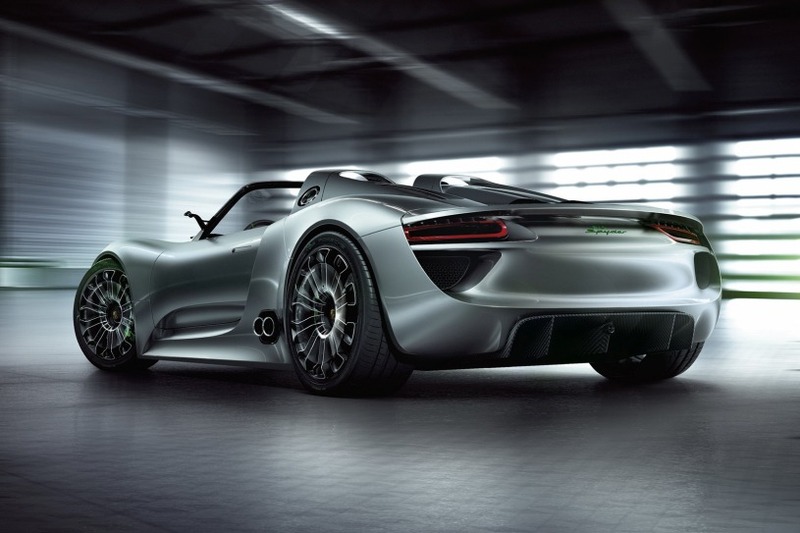 The 918 Spyder is like no other hybrid on the market, with its ability to return up to 78 mpg, with ultralow CO2 emissions, yet accelerate from zero to 60 in less than 3.2 seconds and gallop to a top speed of 198 mph. 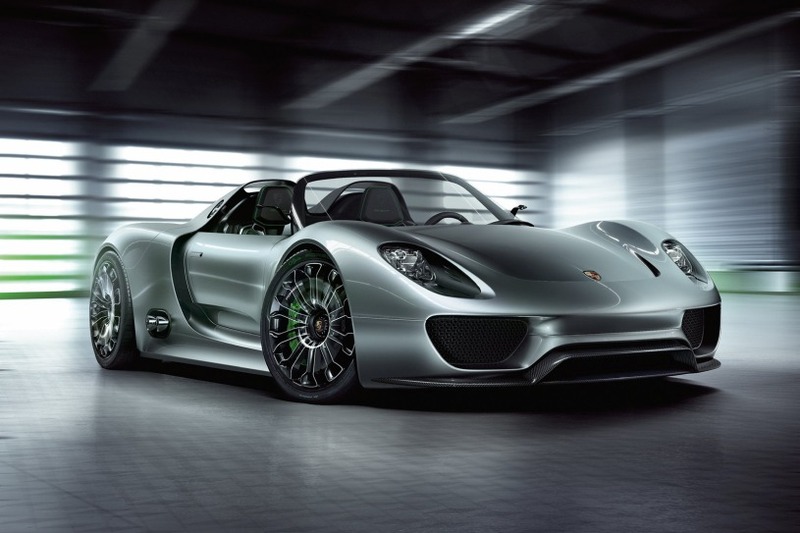 Mounted ahead of the rear axle, the V8 is an evolution of the 3.4-liter unit that powers the Porsche RS Spyder, rated at more than 500 hp. 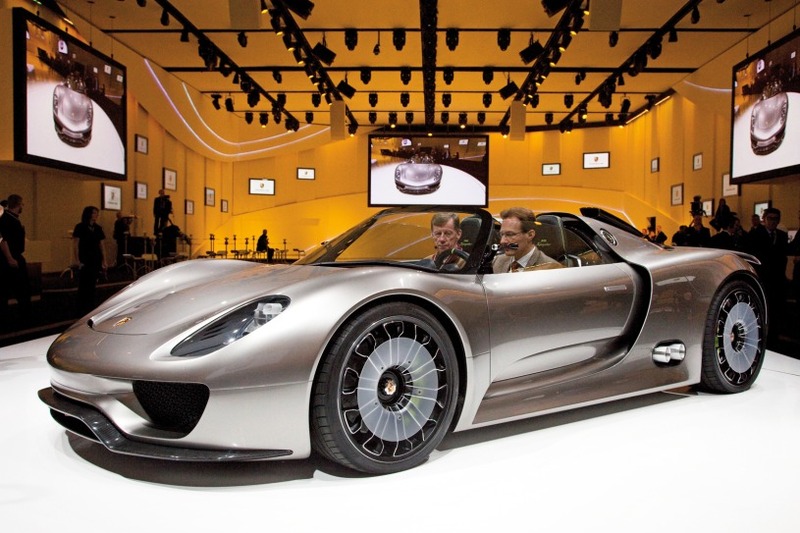 Porsche also fits electric motors to the front and rear axles, with a combined output of 160 kW (215 hp).